Editors Note: This is a guest post from branding consultant and freelance writer Victoria Greene. So you’ve set up a business website offering great services or products, but your customers just aren’t biting. Why? It could be that you’re struggling with your web copy. You want punchy, lively text that will grab your customer and keep them hooked, but on a budget — and I can help. I’ll outline for you how to write copy that will reel in your customers without breaking the bank. When we’re done, you’ll be writing dazzling website copy like a pro. Your customers will be wowed and your business will feel the difference. Need to get more visibility first? 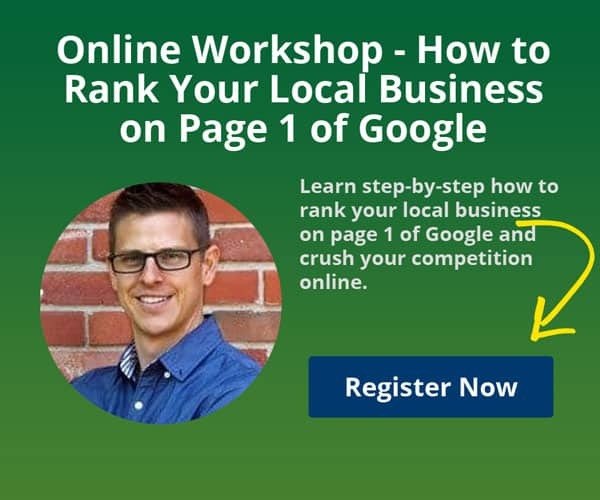 Make sure you’ve nailed your local SEO strategy. Your customers have a problem — solve it! The key ideas to think about when you’re writing for your website? Problem, solution, and outcome. Every customer that comes to your website does so because they have a problem. Maybe they need a cheap greenhouse? Or they’re struggling to find decent camping equipment on a budget? It can be anything, and your business is there to solve that problem. Provide your customers with a solution. You can build that greenhouse for a reasonable price! You offer a wide range of budget camping gear! Just be sure to present your business as the answer to their woes. Once you’ve done that, hammer it home with the outcome. Your customer can have a beautiful greenhouse, ready for the summer. Or they’ll be able to enjoy their family camping trip with good, reliable equipment. And with that, you’ve painted your site as the right place to be. The problem? 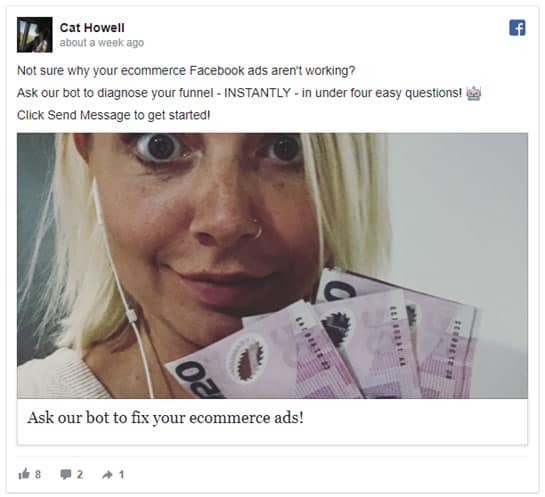 Your Facebook ads aren’t working. The solution? Their bot can diagnose the problem in four simple questions. It’s a no-brainer. Here’s a fun fact: your customers are real people. As such, they like being talked to like people too. When they buy something, they want to feel as though they’re dealing with a human, not a robot. You need to make sure that your writing reflects this. 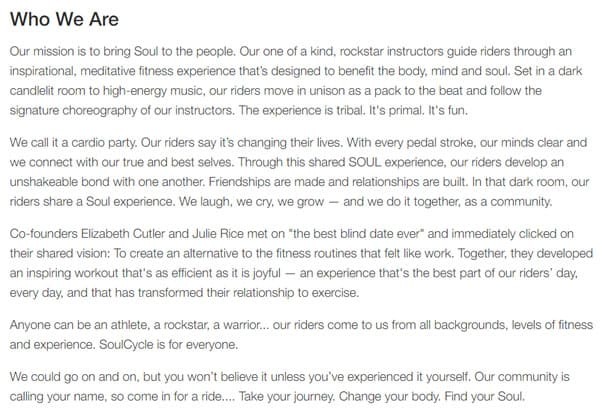 We’ve all read dry, boring copy before, and it’s painful. Don’t be afraid to be a little lively when you’re writing and let your personality shine through. Whether you’re writing about exciting boutique gins or plain old accounting software, you need to let your passion for your product or service shine through. The writing is colloquial, a bit tongue-in-cheek, and chatty. You’d be lying if you said you didn’t love it. When you’re writing for your website, you need to consider who your customer is. Are they a sporty, athletic type? Or are they more of a spiritual, hippy type? Consider their age, education, hobbies, concerns — all these things will go towards informing how you write your copy. You need to get inside your customer’s head, then speak their language. Competitor research can help you validate your customer personas on the cheap. A good way to practice this on the copywriting side is to look through a business marketplace. 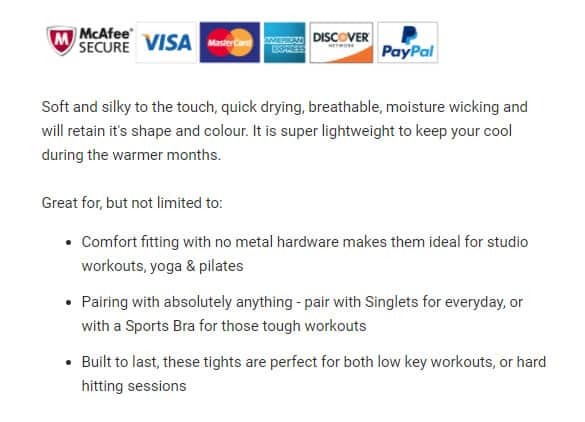 There’s a huge variety of online stores selling everything from luxury gym wear to edgy vape gear. 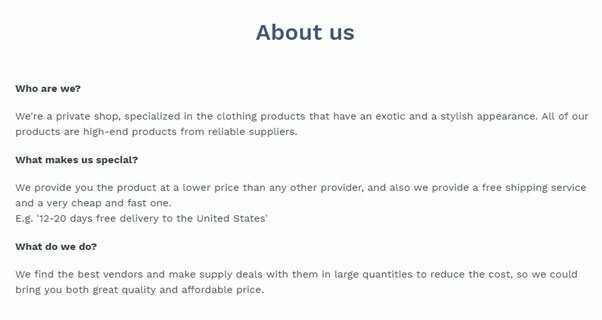 Take a look at how the product descriptions vary from site to site, each one written with the ideal customer in mind. You will quickly get a feel for what niches are working, and why. This customer is a health-conscious gym bunny who wants to feel good and look good. The above addresses all those concerns in just a few sentences. That’s good copy. You built your business from the ground up. You strived, you struggled, and you sweated to get where you are today. You got there because you believed in your product and you believed in yourself. So tell your customers your story. Writing about the history of your brand is a great way of adding a human element to it. You’re not just some faceless factory, you’re a flesh-and-bones business with a desire to provide a great product or service. Passionate and honest, their story crackles with energy. It makes their business so much more than that — it makes it an authentic experience. Now this one’s simple, but crucial: structure. The way your copy looks is a vital component of any website. If your customers click onto your website and see a big chunk of text, they’re going to switch off. Visitors to your site will most likely be scanning, not reading, so bear this in mind when you’re writing. So first off, think about your paragraph lengths. You’re writing web copy, not a novel! Make your paragraphs short and sweet, no more than two or three lines long. If you’re concise and clear, that’s more than enough. Short, concise and to the point, it tells the reader all they need to know about the brand. It answers the questions they know the customer is going to ask, all in a few sentences. So there you have it! Writing interesting, engaging web copy doesn’t have to be taxing. Think about your customer and their needs, then write for them. Tell the world your story and let them know the history of your business. Be friendly and informative, be concise and human. And most of all, let your natural passion shine through! Victoria Greene is a branding consultant and freelance writer. Her blog, Victoria Ecommerce, examines all the latest developments in the world of marketing, design, and ecommerce. She has a passion for getting store owners get the best they can from their online businesses.